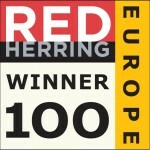 Red Herring recognises annually the 100 most promising technology companies and entrepreneurs in Europe. Growth company Dream Broker is one of the 2013 Red Herring Top 100 Europe winners. Red Herring’s Top 100 Europe list has become a mark of distinction for identifying promising new companies and entrepreneurs. Red Herring’s editors were among the first to recognize that companies such as Facebook, Twitter, Google, Yahoo, Skype, YouTube, and eBay would change the way we live and work. ”It is a great achievement for Dream Broker and its employees to be on the Red Herring Top 100 Europe list. Without our committed staff and our common goal to make Dream Broker successful we could not have achieved this. We also owe a big thank you to our customers” says Mika Ahokas, CEO of Dream Broker. ”After being recognized on the Red Herring Top 100 Europe list it is good to continue to build on this through our internationalisation and growth. Our biggest challenges still lie ahead of us. Instead of ending up as a brief shooting star, we want to work persistently to guarantee that our success is long lasting and in that way present a positive example of a European growth company. During the Red Herring Top 100 Europe award ceremony it was discussed how the biggest and most successful companies come from the USA or Asia. The Red Herring Top 100 Europe list is a great example that companies in Europe and Scandinavia are also interesting and noteworthy. Printable pictures can be found at here. This entry was posted in News, Press release, Software. Bookmark the permalink.